A native of Ohio, Ed Keyes simply fell in love with Colorado after transferring from Hawaii his freshman year to attend the University of Northern Colorado. Once there, he met his future wife Kathy, a Colorado Native from Colorado Springs. Upon graduating, Ed returned to Dayton, Ohio, and at the age of 24, he and his wife launched a sign business that over the next 34 years would become one of the most successful sign companies in the market. During this time, Ed, Kathy and their 3 children vacationed often in Colorado – promising to return one day for good. That day came in 2006, when he sold the company and moved to Pagosa Springs, eventually turning his passion for real estate into a new career. Ed Keyes brings to the table extensive real estate knowledge, proven business experience and total commitment to putting his customers first. In his spare time, Ed is active in golf, skiing, hiking, fishing, hunting and swimming, where he still competes in the Masters Swimming Program. He and his wife Kathy are the parents of Eddie and Anne, both of whom live in Pagosa Springs, and Jennifer, who lives in Denver. They have four grandchildren. An Ohio native, Eddie Keyes grew up playing basketball and swimming and often vacationed in Colorado with his family. He excelled in both sports in high school before moving on to SUNY Morrisville in New York to study horticulture and continue his basketball career. After college, Eddie lived in Hood River, Oregon, where he worked on Mt. Hood, before moving to Denver in 2004 and setting down roots in his beloved Colorado. 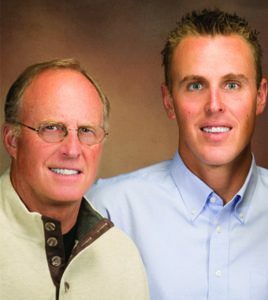 In 2012, Eddie and his daughter Kailey moved to Pagosa Springs where joined his extended family in the town he now calls home to begin his career in real estate. Eddie Keyes brings to the table an extensive agricultural background and a passion for the outdoors. He enjoys playing basketball, skiing, hiking, mountain biking and anything outdoors.